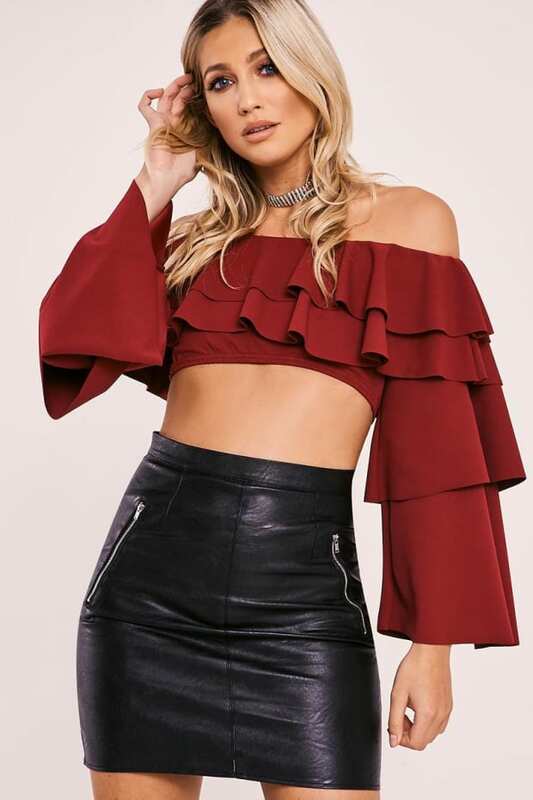 Make sure your new season wardrobe is on fleek and get this crop in there RN! 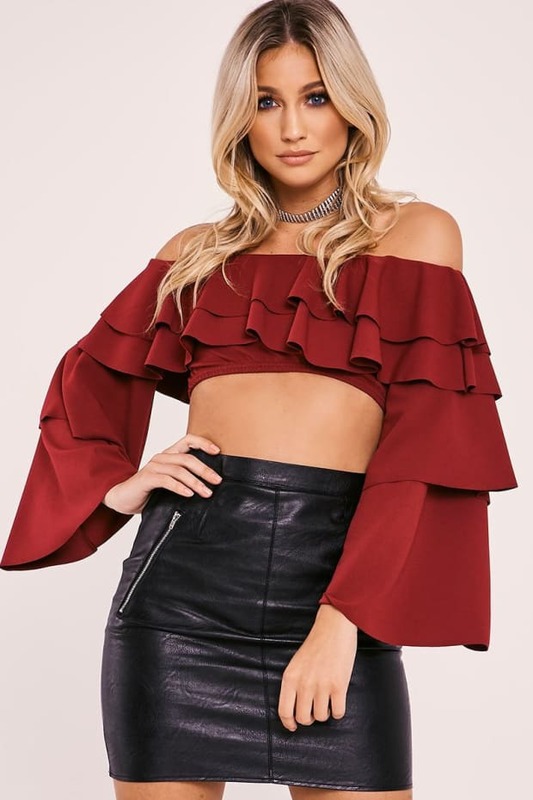 In a sassy cropped design featuring flirty frill layers and bardot neckline, this is one of our faves! 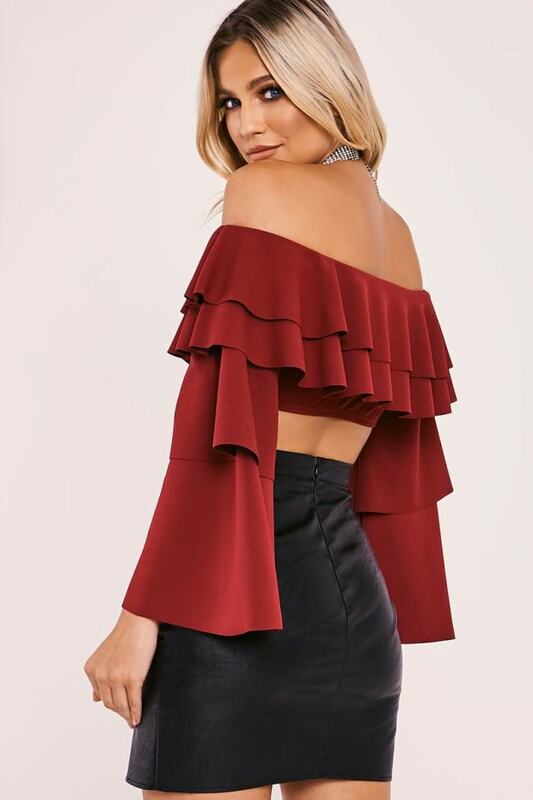 Style it up with a mini skirt and heels to earn serious style points!